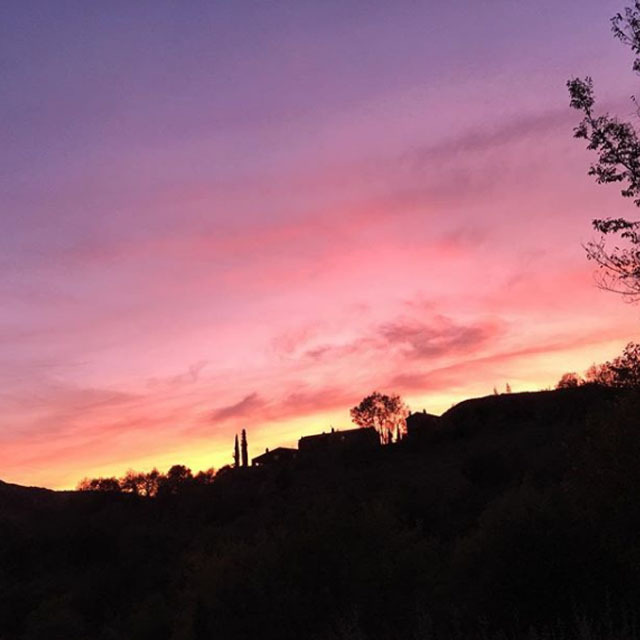 We live in one of Italy’s most beautiful valleys, only 20 minutes north of Perugia. 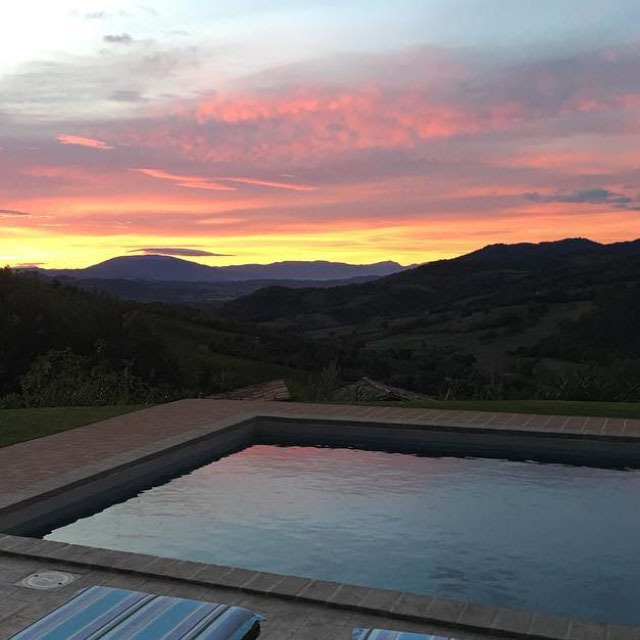 We chose this area on account of its unique natural beauty, stunning views and proximity to Umbria’s wonderful hill towns. 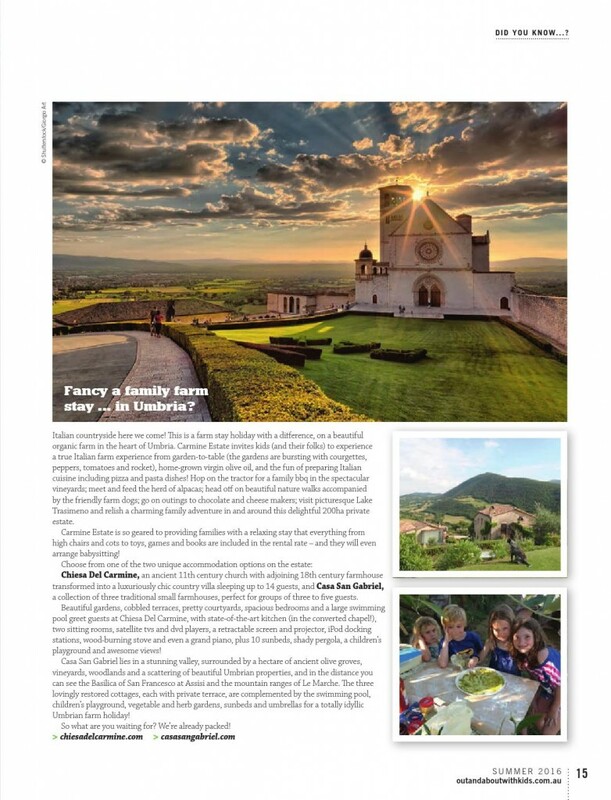 Our love of Italian food, wine and the way of life prompted our move to Italy more than 15 years ago and we are keen to share this passion for all things Italian. Chrissie is from Cambridge, England and prior to moving to Italy, worked as a chartered accountant in Europe, Asia and Australia. 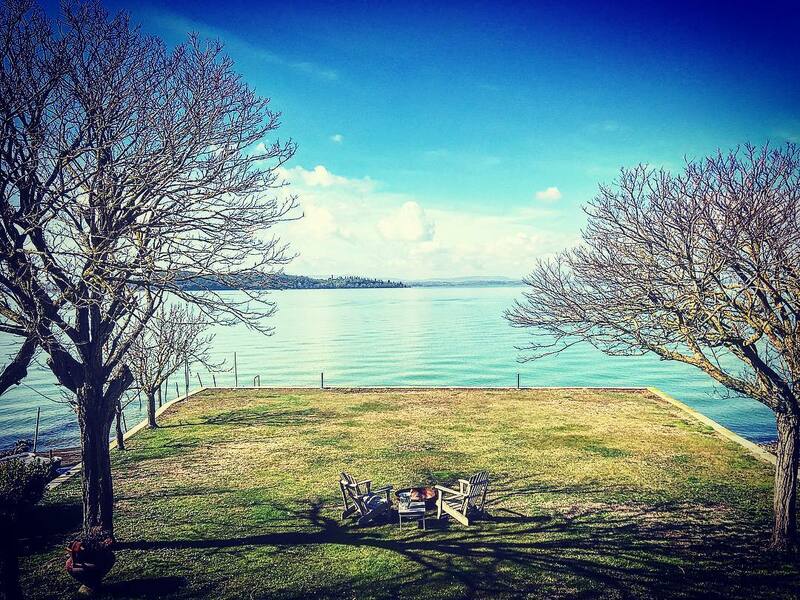 She is a keen walker and water sports enthusiast and recently completed her sailing license in Italian and loves to relax on Lake Trasimeno. She is also very proud of her small herd of Alpacas. David is from a farming background in rural Australia and worked in stockbroking, hospitality and the wine industry in Australia. He taught business and academic English in schools and companies and worked as a Cambridge University Language examiner upon arriving in Italy. David manages the Chiesa del Carmine estate, which is located within in our valley and includes an award winning cellar door. 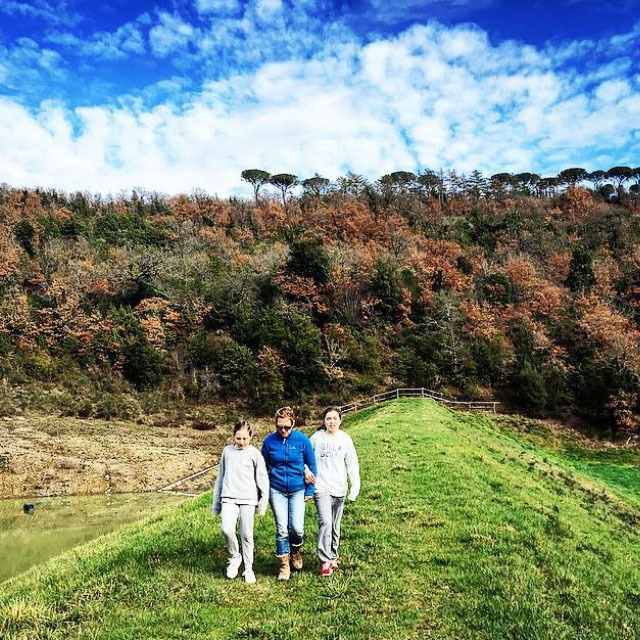 Elisabetta and Lucia were both born in Italy and attend local schools. 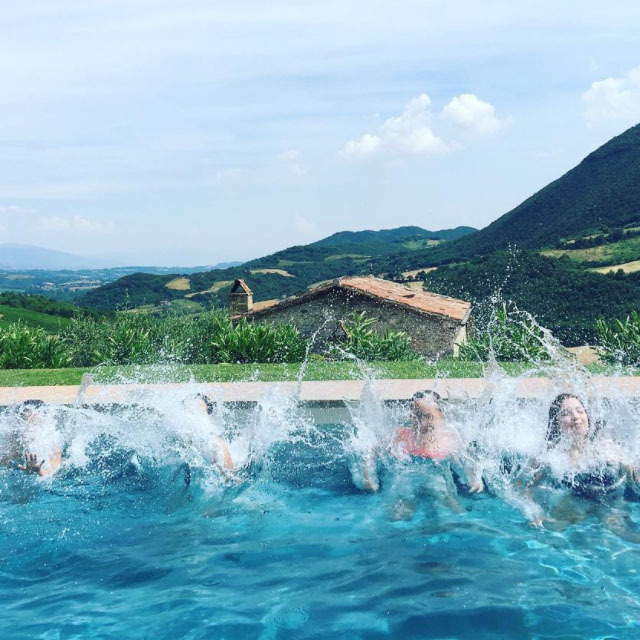 They love the summer holidays where they are lucky enough to make new friends with our guests most weeks and the weekly pizza nights are their favourite event. Cuba and Bessie, are our two special dogs and also love having guests to stay, they particulary like all the attention from the younger guests and love the opportunity to go for a walk in the valley. 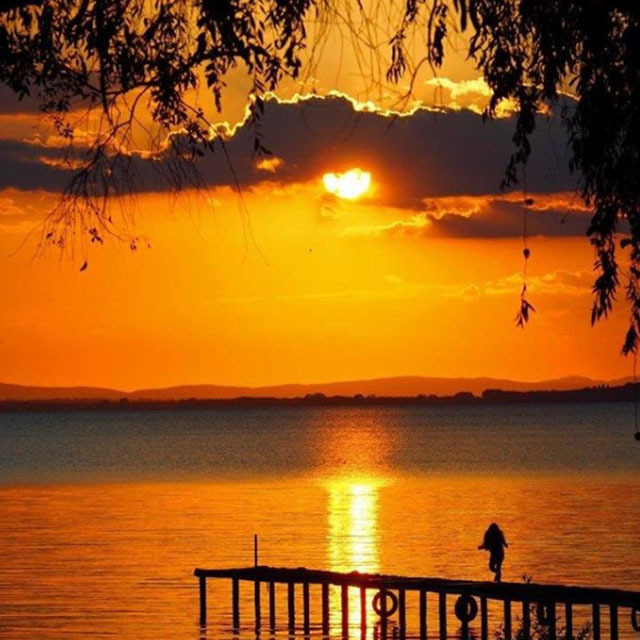 We look forward to welcoming you to our home and sharing our special place with you. David, Chrissie, Elisabetta, Lucia, Cuba, Bessie and a few Alpacas. 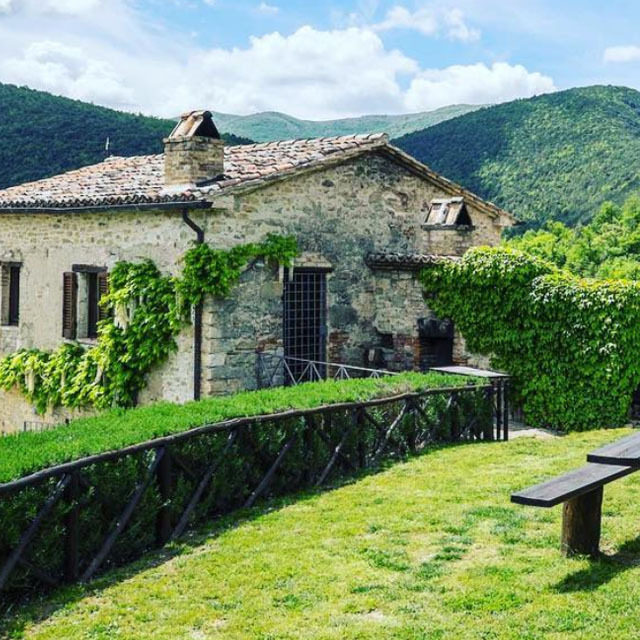 DAVID AND CHRISSIE LANG, who offer authentic agriturismo experiences in 16th century farmhouses on their property, Casa San Gabriel, share their favorite spots in Italy’s Umbria region. 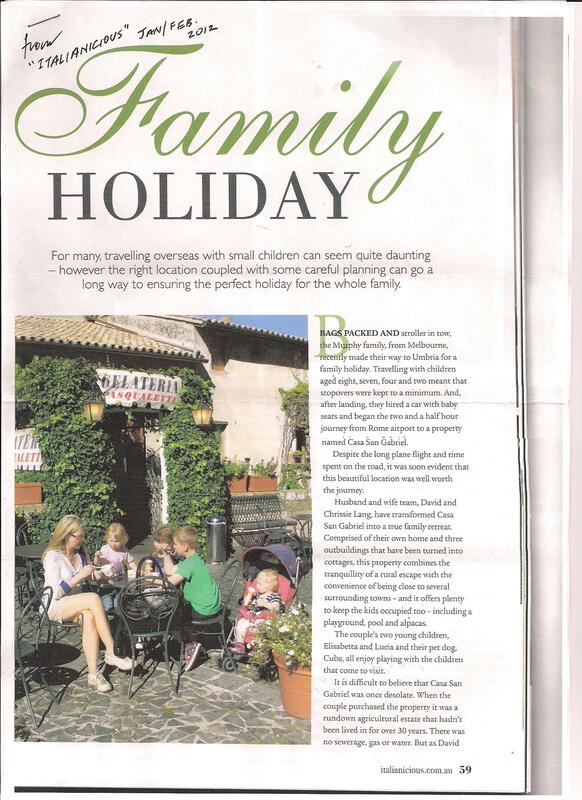 Casa San Gabriel was specially selected to feature in Alistair Sawdays ” Slow Italy” publication. 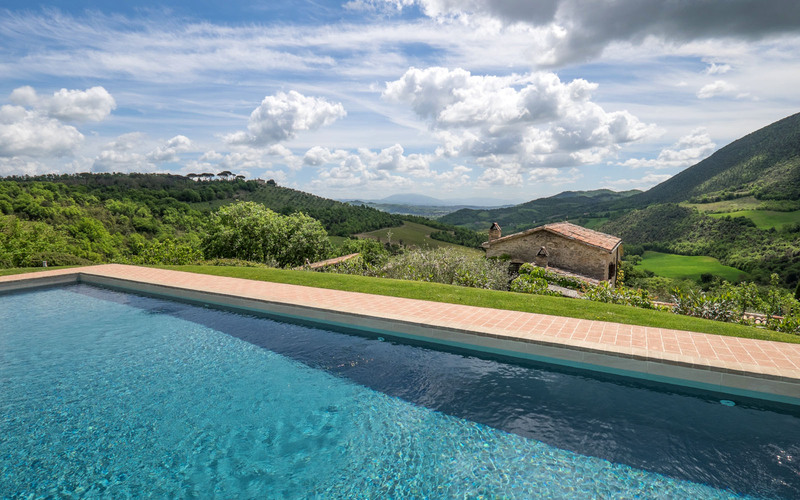 The book is a wonderful collection of properties throughout Italy who have embraced the ” Slow” life. David Lang farm boy turned stock broker, lives his dream as an English teacher in Italy. 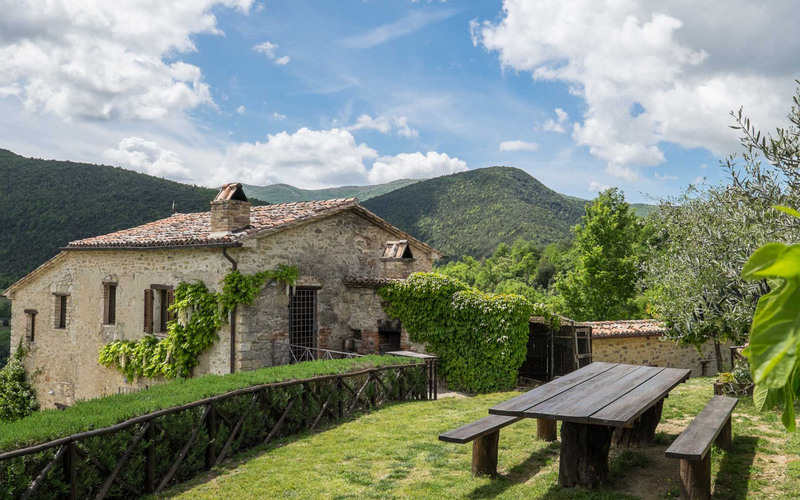 David and Chrissie Lang were looking for a challenge when they decided to transform a rundown Italian farmhouse into an accommodation retreat. 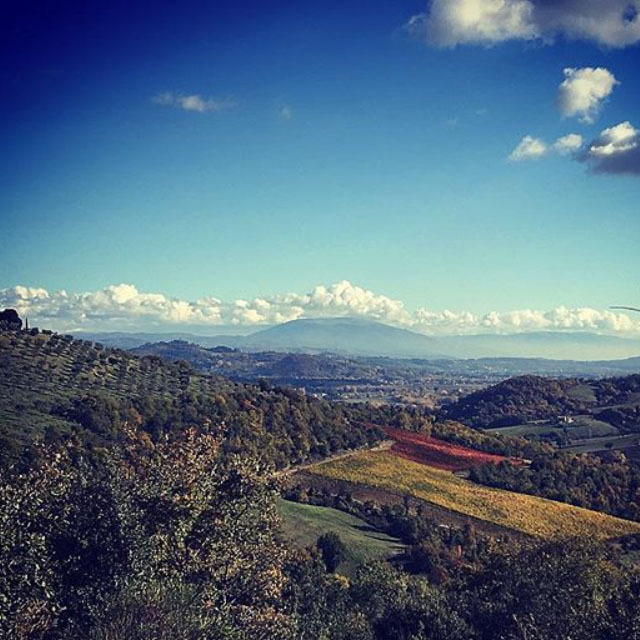 P.D.Riches finds chestnuts and wild boars on holiday in the Umbrian hills. 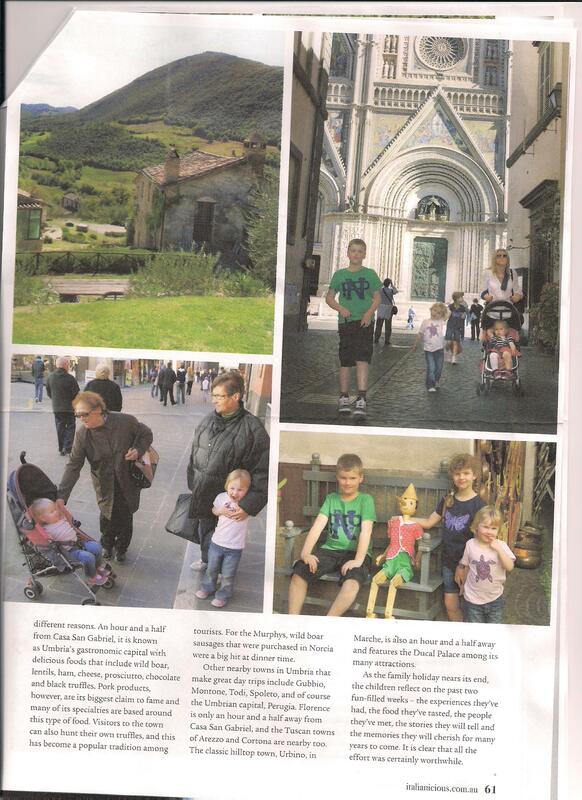 Our first article in a daily Italian newspaper on life in Italy and Casa San Gabriel. 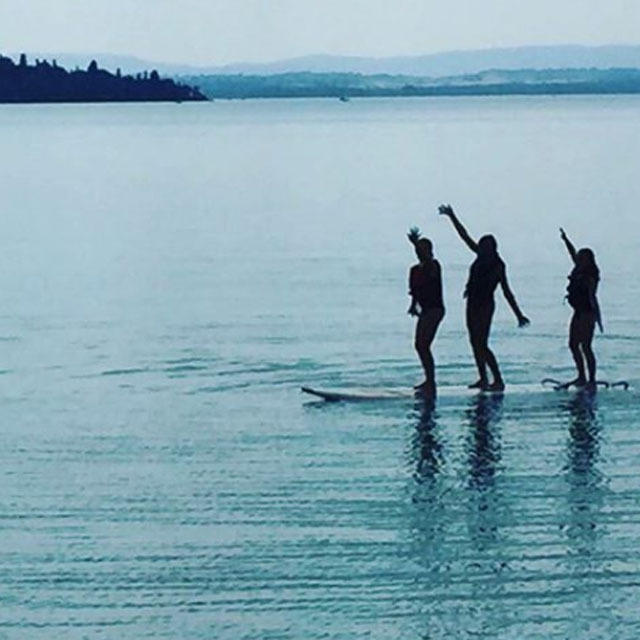 Thousands are the stories of young Italians who left their country and came to Australia in search of a better life. But, we don’t hear as much about the Australians who have chosen to reverse the process and end up living in Italy permanently or basing their income and business life around spending a considerable amount of time there. 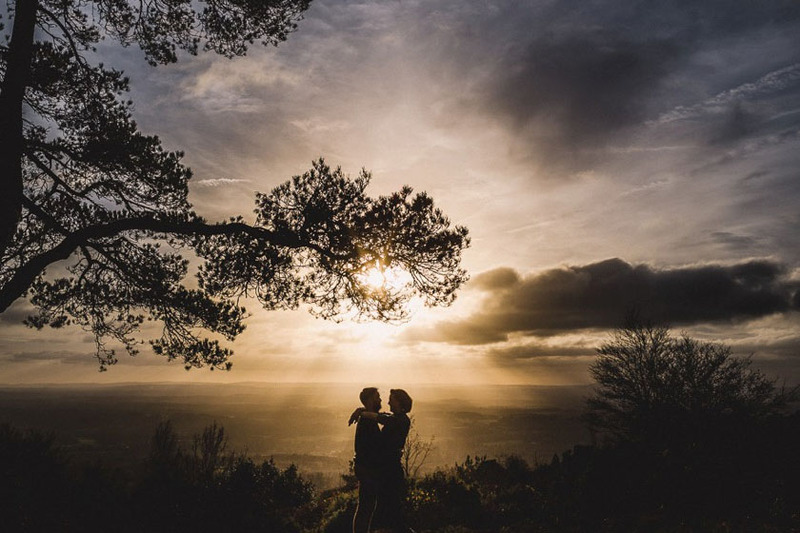 Their reasons for doing so are diverse – a quest for a certain lifestyle, good old fashioned love or the ability to spend a considerable part of the year introducing others to a country they have come to love. 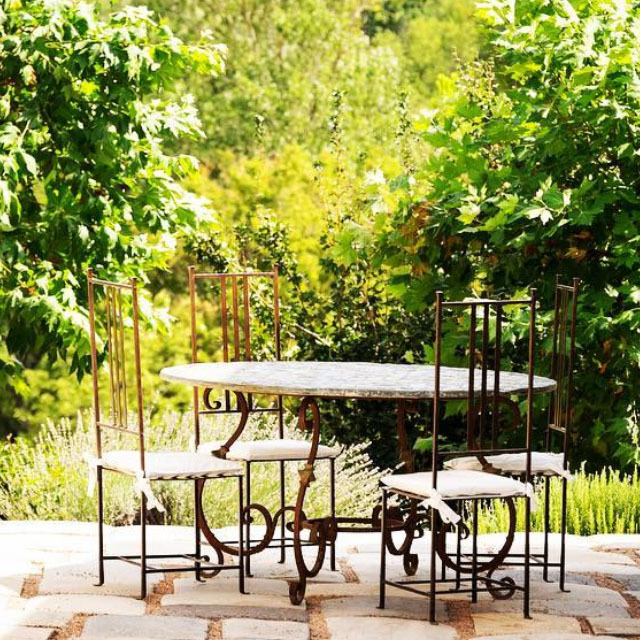 David and Chrissie Lang have transformed Casa San Gabriel into a true family retreat. 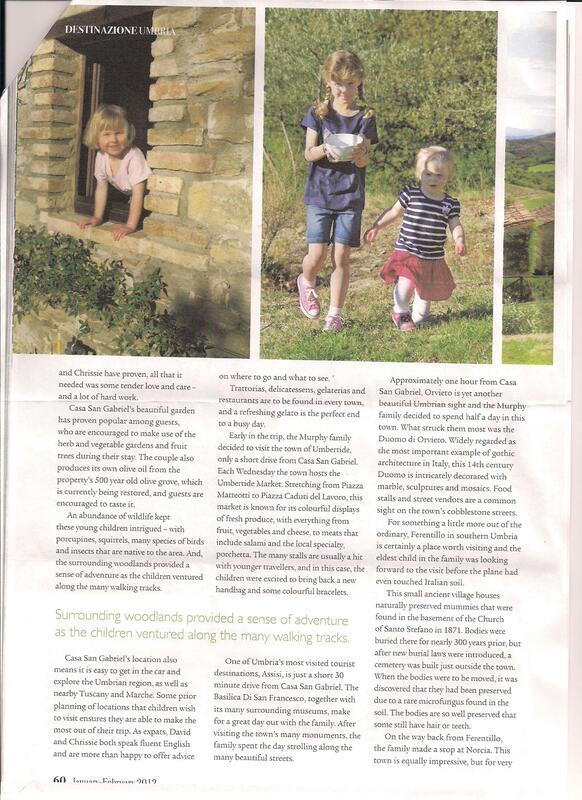 Comprised of their own home and three outbuildings that have been turned into cottages, this property combines the tranquility of a rural escape with the convenience of being close to several surrounding towns and it offers plenty to keep the kids occupied too – including a playground, pool and alpacas. The Italian job. A decade has passed since former Lorne resident David Lang traded in the towering gums of the Otways to revive a rambling farmhouse in the “green heart of Italy”, but now he gets the best of both worlds. 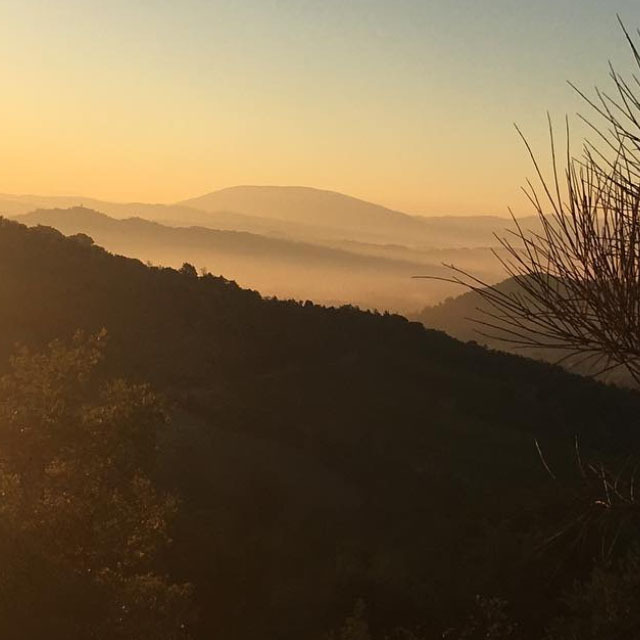 A bountiful journey: David Lang’s travels led to an unexpected tree change and a new life in a country he’d never visited. 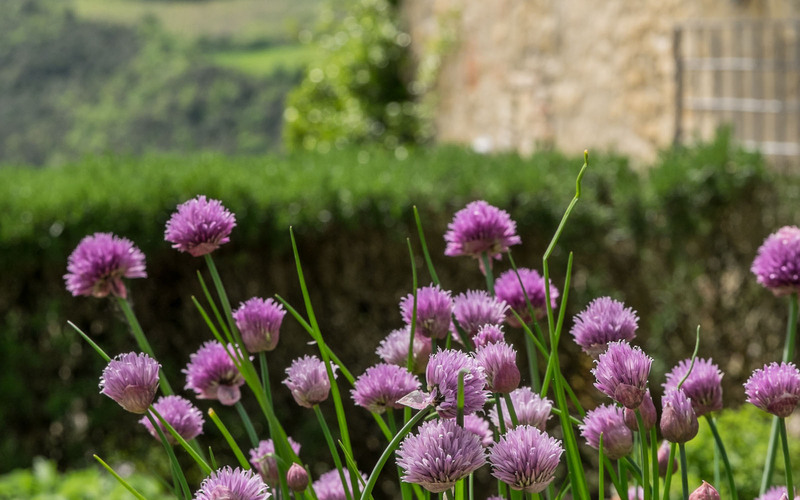 From Beeac to Umbria – an Italian dream comes true ESCAPING to Italy to renovate a historic villa, fossick for black truffles and press olive oil from ancient trees is the dream of many a romantic adventurer. 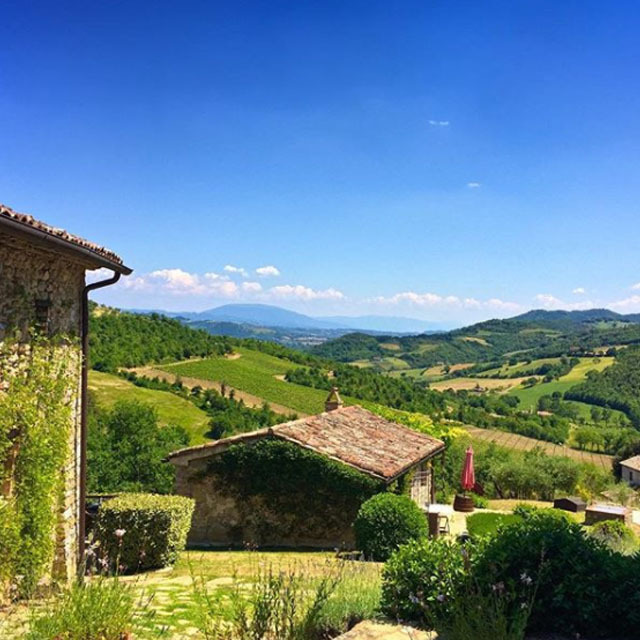 Italian countryside here we come! 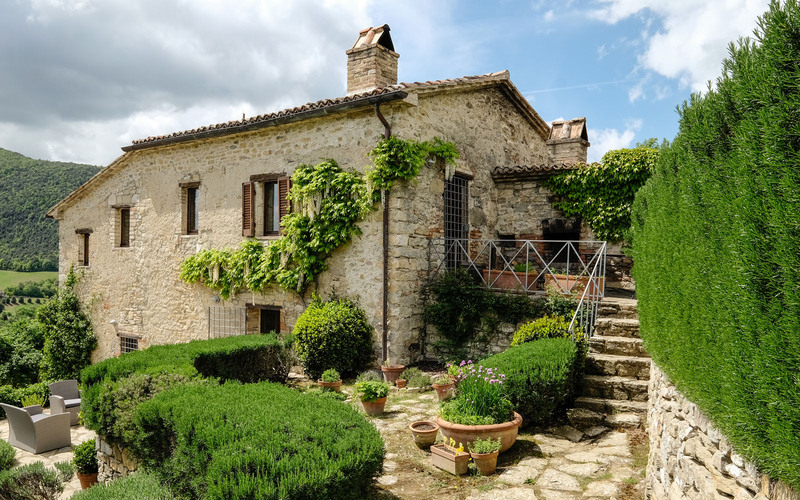 This is a farm stay holiday with a difference, on a beautiful organic farm in the heart of Umbria.